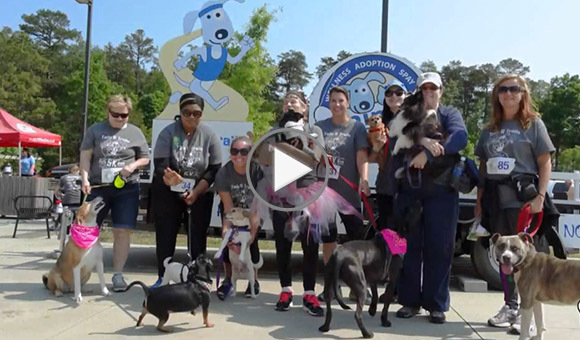 Post-race activities include the posting of results and award presentation, plus tail-waggin fun with our pet themed entertainment and vendor party. Why: To have a great time -- and build a NO KILL community! Teams (6 paid participants or more): $25 per person. $35 per person after May 1. Children 6 and under - free (if your child wants to be timed and receive a race bib and t-shirt they must register). Packet pick-up will be Friday, May 10 between Noon-6:30pm at Animal Care and on the day of the event from 7:30-8:15am at Conestee Park. Race day registrations will be accepted in-person during packet pick-up time. 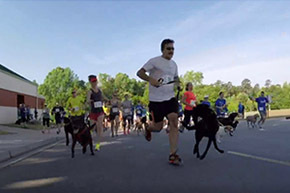 Please consider making a donation to the Conestee Foundation so that people and pups alike can continue to enjoy the beautiful Lake Conestee Nature Park. We need your help! Take charge and raise funds that will help move us towards our goal of becoming a NO KILL community in 2019. Set a fundraising goal when you register and ask your friends, family and coworkers to help you save lives by donating. As the largest open admission facility in South Carolina, Animal Care accepts all animals regardless of age, medical condition or behavior. Through the implementation of many life-saving programs, like targeted spay/neuter, we have seen a decrease in animal intake of more than 50% in just 5 years. Now, in 2019, we only need to adopt one more pet per day to finally build a NO KILL community. 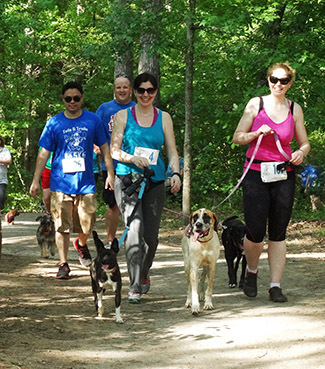 Help us raise the funds to do that by participating in the Tails & Trails 5K. We need your help! Click here for details on sponsorship levels and the tremendous benefits of becoming a Tails & Trails sponsor. For additional questions relating to sponsorship, contact Paula Church at pchurch@greenvillecounty.org or 864.467.3986. T-shirts are guaranteed to all registrants who sign up on or before May 1. After that, t-shirts will be distributed on a first come, first served basis. Guarantees on size selection is also on a first come, first served basis if you registered after May 1. 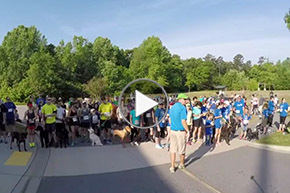 Check out the fun from our 2018 event then register for this year!